MacBook trackpad not working? Broken MacBook Pro trackpad? Is your trackpad suddenly behaving erratically? Does your cursor move for no apparent reason? Or not move when you want it to? Having trouble precisely selecting text? Is your trackpad cracked? Did you spill coffee, soda or juice on your MacBook and now your trackpad doesn’t work? MacBook trackpads are incredible touch-sensitive pieces of glass. And they can be fairly easily damaged. 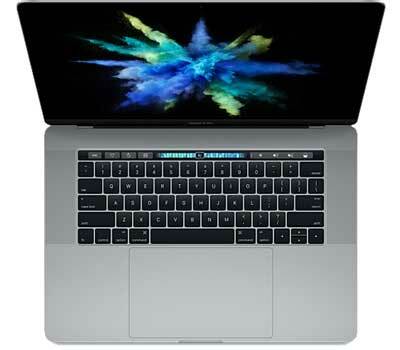 iFIX New York can diagnose and repair an unresponsive trackpad or fix a stuck or not clicking MacBook Pro trackpad. What sets iFIX New York apart? We use only OEM-quality parts. Our experienced and highly trained technicians carefully troubleshoot and repair your device—normally while you wait. And we use only high quality parts—just like the manufacturer installed—ensuring a high quality repair that lasts the life of your device. All repairs performed by iFIX New York are guaranteed for parts and labor for 90 days. If anything goes wrong, bring it back and we'll make it right. See our Terms & Conditions for details. Why Choose iFIX New York? At iFIX New York, we provide professional, reliable and fast service at reasonable prices. And we stand behind our work for a full 90 days. High quality smartphone repair, computer repair, laptop repair and data recovery services in New York City. At iFIX New York, we provide professional, reliable and fast service at reasonable prices. Serving New York City since 2008, iFIX New York specializes in all aspects of electronic repair. 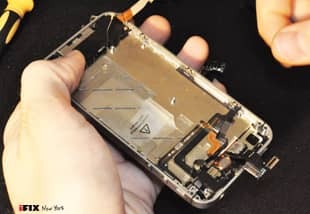 With certified repair specialists trained in integrated circuit board repair and one of the few clean hoods in the five boroughs, iFIX New York can diagnose and repair devices most shops can't. And we stand behind our work. All repairs and upgrades are backed by our 90-day guarantee. If anything goes wrong, bring it back and we'll make it right. Why repair instead of replace? 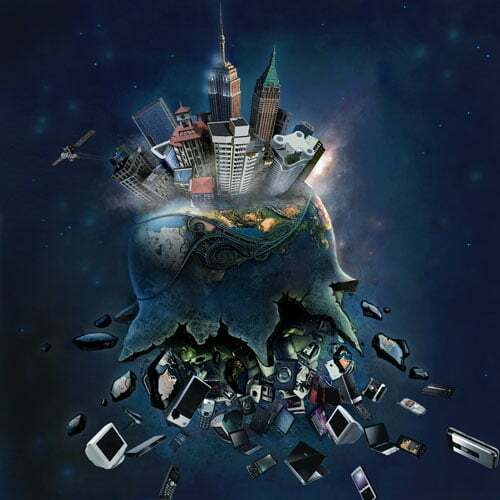 The U.S trashes 300 to 400 million electronic items annually. Only 2% of computers will be used by a second owner. And these problems are much greater in New York City where the cost to remove trash is well over $2 billion annually. Yes, that's Billions with a B. But there's a bigger issue. The impact to our environment is irreparable. Sure, we can recycle electronics (though less than 20% are each year), but the environmental impact of continuously mining and refining the materials that go into our devices is devastating. And New York City's trash is carted hundreds of miles for disposal so the impact of trashing your phone is even greater! Repair your phones and gadgets: your children and grandchildren will thank you. Drop us a note and we'll be in touch. Conveniently located on the Upper East Side. M103 @ 3rd Ave. & E. 77th St.
6 @ E. 77th St. & Lexington. ©2008-2016 iFIX New York®. iFIX New York is a trademark registered in the US Patent and Trademark Office. All rights reserved. All product names, logos, and brands are property of their respective owners. All company, product and service names used in this website are for identification purposes only. Use of these names, logos, and brands does not imply endorsement.